Home Front Page Can You Hear the Students Sing? Can You Hear the Students Sing? The Post campus has been in uproar since the OneLIU announcement that the Post and Brooklyn sports teams would merge. Stacks of guerilla pamphlets were left on The Pioneer newsstands, in the Little Theatre, on cork boards in classroom buildings, and in other locations around the school. The president assured students that the administration is not trying to fight the student body and wants to address these issues civilly. Faculty members, too, have not been silent. “The faculty is coming together in a way that I haven’t seen in many years in opposition to the administration’s policies,” political science professor and president of the faculty union, Michael Soupios said. One of the main focuses in the pamphlet was Cline’s salary of “around $800,000 per year.” Despite there being no correlation between the cuts and alleged deficit and Cline’s earnings, the anger stems from a lack of knowing. Faculty and students appear to be in a state of confusion and the chaos has led to backlash. The cries did not go unheard. Cline described the program’s purpose. “We put this program together so that each student would have a personalized coach. In fact the promise coaches have been dedicated [and] trained in special areas.” The objective of the Promise Office is to give a personalized experience to students, which is why the ratio is 1:150, according to Cline. Duncan, a resident of Post Hall, supported the pamphlet’s allegations. “It’s crazy nothing has been done about it. The fact that they just let it go by. 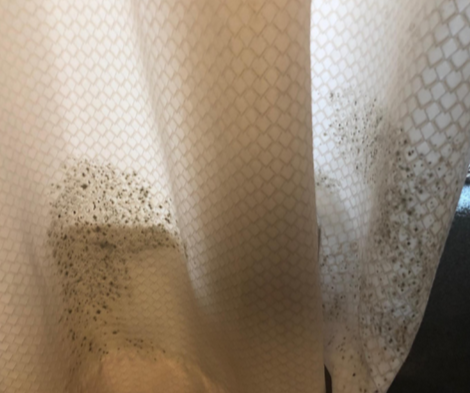 The fact that there are tons of students with this problem.” The pamphlet highlights the importance of this issue because mold can lead to health complications and should be addressed immediately. facilities team is working as fast as they can to address issues of mold as they are reported. is discovered, the custodial staff is mobilized to clean any evidence of it with the established approved cleaning procedure that we have in place,” he continued. Cline responded that the merger of the Post and Brooklyn sports teams “has been talked about for more than ten years” before she arrived at LIU. “At one point we were D1 for a few teams… and so this started before I got here. It has continued to be in conversation. We wanted to move forward when we were in the position that it made sense to move forward with some strength,” she said. The administration deemed that the appropriate time to make this change was when they had enough information to address all student-athletes. Students have not been informed of the motivation behind the department mergers. Some faculty members have responded. “It’s because of money, they’re collapsing departments on each other, you’ll come up with savings. From an operational viewpoints students will be sacrificed,” Soupios said. Regardless of efficiency, students have noticed consequences already. “We’ve been trying to fight for a new computer lab, but it’s almost off the table. With the budget cuts it’s probably going to be a thing in the past,” Duncan said about the needs of the game design program. The author of the pamphlet called out the newly proposed veterinary school at Post, mainly asking why the accreditation process has proceeded so quickly. 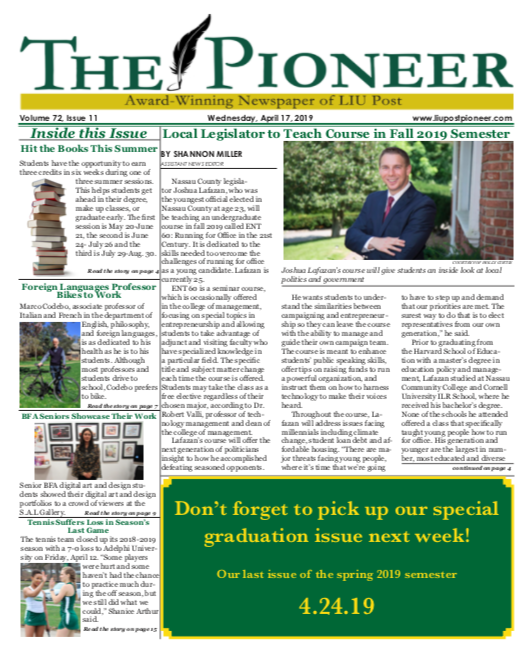 “How did LIU Post jump from 12th to 1st on the accreditation list?” How would LIU rival their competitors? Cline declined that there is a deficit. “There is no $28 million deficit. In the last five years, our university has gone from $86 million to about $230 million in endowment. We’ve had surpluses every year I’ve been here,” she said. University CFO Christopher Fevola confirmed Cline’s statement, saying that the university is more financially stable and secure than it has been in years. 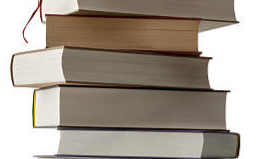 Some faculty feel that the university’s problems are due, at least in part, to admissions. Enrollment figures analyzed by the Pioneer show a decrease in enrollment from an average of 820 to 550 in the last six years. “The current administration [is] not being honest in terms of [the] financial situation. They have the wrong people doing the administrative operations; they’re not professionals in enrollment services. They conduct themselves like bullies, they’ve intimidated people, people are afraid to talk, people are afraid to make a policy, everything’s coming from the top. Everyone is terrified,” Soupios said, describing the feelings of some of the faculty members. Students are uneasy, but they are not hopeless. “Students should come together. I feel like we should discuss our issues with the campus,” Nicole Zito, a sophomore psychology major, said. Plenty of students are ready to reach out. a part of fixing it,” Khoa Nguyen, sophomore biology major, said. “A university is supposed to be operating, about discussion, dialogue, process, people sitting around a table collectively working out problems together,” Soupios said. 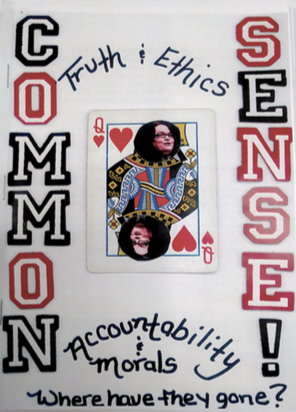 With the “Common Sense” pamphlet, it seems that students are starting to unite. The students are ready for change and they will not be ignored. From the cries of anonymous pamphlets to Instagram accounts, it is clear that Pioneers are not afraid to make noise.